I make no bones about my love of Pinot Noir. I do find, though, that I end up regularly purchasing a bottle less often than I probably should. Why? Because for folks who like good, inexpensive wine, Pinot Noir falls in sort of a weird category. Pinot Noir is a finicky grape. It’s tough to grow, doesn’t yield as much as like Merlot or Cabernet, and, as a result, tends to be a little pricier than some other reds. Now, if you trundle down to your local wine store, you might be able to find something labeled “Pinot Noir” for eight or nine bucks. Great. Good on you. Those pinots – many of which are from California – are usually blended with juice from other grapes to get the price down. They may be perfectly serviceable wines, but they can lack that certain delicacy in flavor that makes Pinot, well, Pinot. To me, a good Pinot Noir is going to have a fragrant, complex aroma; a body that’s not too heavy that combines some fruitness with a smoky quality, and a finish that I can sit back and meditate on for a bit – something full of dark fruit, smoke, and mystery. Hard to find those qualities in something under ten bucks. Honestly, if you want a really good one – spending $20-25 isn’t going to be out of the ordinary, especially if you want something that you’ll be able to savor for a bit. When I usually think of Pinot Noir – I consider it in terms of broad groups…Old World, usually meaning Burgundy, France; and New World, which has come to mean just about anywhere else. But New World Pinot Noir is now almost an overly broad determination, since many countries are finding local microclimates that will support these stubborn little red pods of joy. 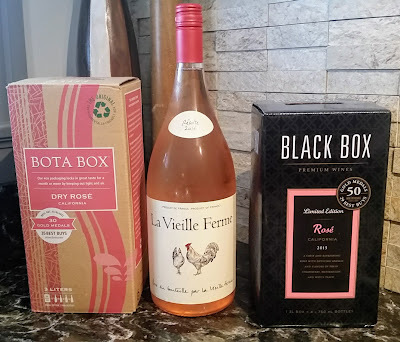 I had the chance recently to try a couple of interesting New World pinots which aren’t in the break-the-bank range. You might consider them the “Old New World” and “New New World” versions. The two Pinots I got to size up were the Cultivate 2014 California Pinot Noir ($25) and the Trinity Hill 2015 Hawkes Bay Pinot Noir ($17) from New Zealand. 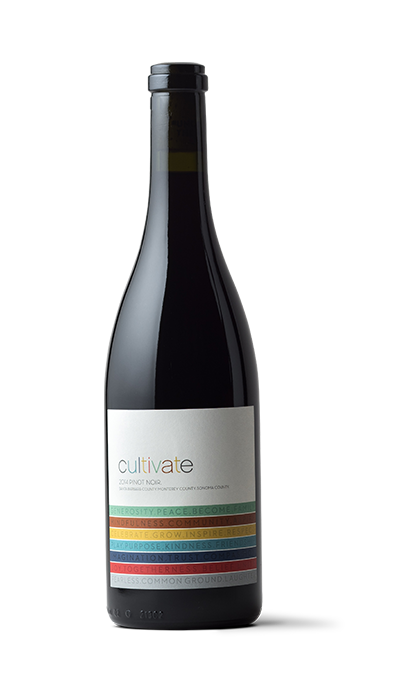 The Cultivate wine is an interesting study in terroir on its face. I am a huge fan of cool-climate Pinot Noir, which seems to be the model for this particular wine. It’s a multi-regional blend of California Pinot Noir harvested in three different locales. The idea here seemed to be to pull together lighter bodied wines from the more southern regions and drop in a little heavier juice to even everything out. Grapes from Santa Barbara County’s Santa Rita Hills and Monterey County’s Santa Lucia Highlands comprise 49% and 47% of the blend, respectively – with the remaining 4% coming from the Sonoma Coast AVAThe resulting wine is still quite light-styled, with a perfumey nose of raspberry and strawberry. The flavor is bright cherry with a little bit of smoke as a backbone – but that smokiness doesn’t linger. The finish is clean and slightly tannic and smoky. The Trinity Hill was a different animal altogether. In comparison, this Hawkes Bay wine was richer and smokier. I thought it seemed like a much more serious wine. Lots of plums and smoke up front on a heavier body, which surprised me. Many of the New Zealand pinots I’ve tried lean towards lighter styles – but this one embraced its darkness. Raspberry and spice flavors hung around for a long time on the finish, and the smokiness lasted quite a long time. There’s also an earthy component to this one that simply wasn’t there on the California wine. The Sweet Partner in Crime leaned heavily towards the Trinity Hill. She leans towards earthiness in her reds, so I wasn’t surprised. I thought that the Cultivate was a leaner, more delicate wine – but it was almost *too* delicate. California Pinot, while often lighter styled in cool regions, still has more firmness than I found here. All in all, especially for the value, I leaned towards the EnZedd offering here. The Cultivate was better, I thought, for drinking on its own – but at $25, that’s a bit high for a pass-around wine, although it would be a pretty good aperitif red. With food, the Trinity Hill holds up more effectively. Both these wines were quite decent – and your personal preference for body style will likely be the deciding factor if you’re going to give these a go.